For teens that have had a chargeable accident, reasonable rates may be nearly impossible to find. Traffic accident statistics, however, do not favor teenagers behind the wheel. Teenagers, from 16 to 19 are four times as likely to be involved in a traffic accident, as more experienced, older drivers. As a group, 16-year-olds are the most accident-prone. They are six times as likely to have an accident as older drivers are. Shop and compare the best insurance rates with the best companies when you use the free comparison tool on this page! Insurance rates for teen drivers are already sky high. Even drivers just out of their teens, ages 20 to 24 will pay a third less, only $2,040 per year. If a teenage driver has an accident or receives a traffic ticket for the same incident, the car insurance company involved will likely hike up their insurance rates. Surcharges are likely to last for three years or at least until the young motorist reaches the next age plateau. Car insurance surcharges will depend on the seriousness of the charge, the cause of the accident and resulting injuries and property damage. The most serious charges will most often stem from alcohol or drug-related traffic offenses and accidents. Other factors will also impact the cost of car insurance for a teen driver such as the kind of car the teen is driving. Cars that are more expensive will naturally cost more to insure, as will sports cars, classic automobiles or other specialty or high-performance vehicles. Where you live will also affect your insurance rates. If you carry full insurance coverage, surcharges for tickets or accidents will rise proportionately. If you carry only minimal coverage, rate increases won’t hit nearly as hard. Most experts agree that it’s almost always cheaper for teens to hitch on to their parents’ car insurance policies. Parents often have long-term established relationships with their insurance providers, multiple policy discounts, and other benefits. While parents can expect their insurance rates to rise if Junior has a chargeable accident, the results wouldn’t be nearly as disastrous as they might be if Junior were to have an accident under his own policy. In many cases, where accidental damage is minimal and no police report has been filed, it may be well to pay the repair costs out-of-pocket and not report the mishap to the insurance company. The premiums you save will definitely be of some consequence. Having an emergency fund or other savings for just such occurrence is always a good idea. In this way, you can protect your son or daughter from the results of reporting a fender bender to your insurance provider and thus avoid the shocking insurance rate increases that could follow. The National Association of Insurance Commissioners (NAIC) has published several helpful articles on the subject of teenage drivers. 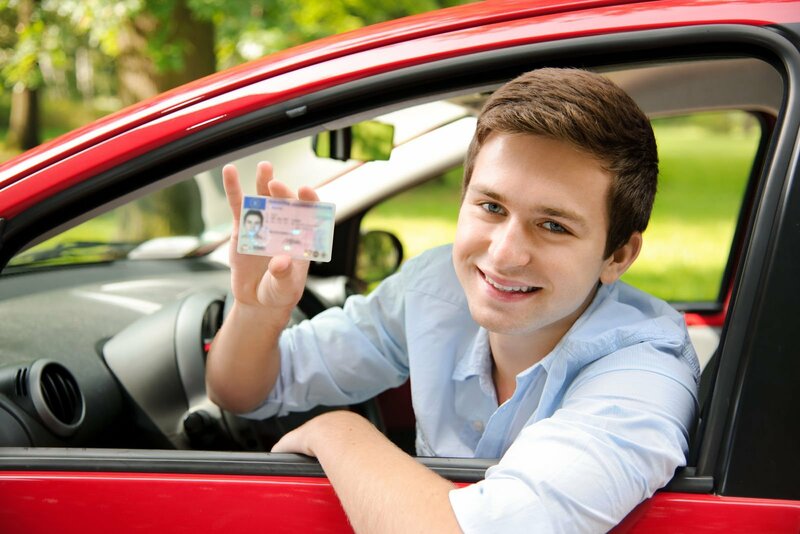 NAIC warns of higher rates when you add a teenage driver to your existing auto policy. While some states disallow gender differences in pricing insurance, you can expect your rates to increase by 50 percent by adding a female driver in her teens, while you may see as much as a 100 percent increase when you add a male teen to your current policy. If your son or daughter will be going away to college and you are thinking of providing them with a car to take with them, you may want to think twice. Many insurance providers will require your college student to take out their own policy if they are living away from home and have their own car. Once your children reach their teen years, you may want to consider increasing your liability coverage or adding an umbrella policy to your existing homeowners’ insurance package. In this day and age, coverage of million dollars or more isn’t too much when protecting your family against potential lawsuits arising from injury accidents. Controlling costs is possible, says the NAIC if you observe a few simple rules. Shop around and compare the rates of a number of auto insurance providers. From company to company, there may be significant differences in how they treat teen drivers. Always check insurance rates for the make and model of car you are considering for your teen. Family wagons and economy cars are most often the least expensive to insure, while SUVs, sports cars, and convertibles are amongst the most expensive. Parents should encourage their teens to earn good grades as most insurance companies are willing to discount rates for good students as well as good drivers. Taking a driver safety or education class will also help to lower car insurance rates for teen drivers. The Center for Disease Control (CDC) published a recent web article on teenage drivers, focusing on the reasons that they are at such a high risk for potential injuries and even death from motor vehicle accidents on the streets and highways of America. Teens are much more likely to underestimate or fail to recognize perilous situations than their older counterparts. Teenage drivers are also more likely to speed and tailgate the drivers in front of them. Teenagers, especially males, are also more likely to show off for their peers if there are teenage passengers in the car. The risk of crashing is especially high during the first year a teenager is on the road. Among teens 15 to 20 who were involved in fatal auto accidents, 37 percent had been speeding while 26 percent had been drinking. Young men are twice as likely to die in an automobile crash as young female drivers are. Other statistic based factors are: to car crashes. Teens are less likely to use seat belts than older drivers do. Teenage drivers also engage in a number of other risky behaviors that can be directly linked to car crashes. High percentages of teens don’t wear their seatbelts when riding as passengers as well. Teen drivers are also distracted easily by friends in the car or by their cell phones, iPods, or other electronic devices. In the last few years, many states have passed motor vehicle laws making it a crime to text while driving in addition to using a cell phone without a hands-free device. According to the CDC, a survey completed in 2007 found that almost 30 percent of teens reported riding with a driver in the previous month that had been drinking. In 2008, of those teens killed in an auto accident after drinking, 75 percent were not wearing their seat belts. Most fatal accidents involving teens occur on the weekends between the hours of three in the afternoon and midnight. Car and Driver Magazine posted this article on assigned risk auto coverage also known as the assigned risk pool. Teens who have suffered serious accidents or received multiple traffic violations may find their state’s assigned risk pool the only available insurance coverage if they intend to continue driving. All avenues should be pursued since obtaining insurance through a private company may still be possible and is usually preferable to the risk pool. If you can’t get insurance through regular channels, your state will provide at least minimal coverage, but you will certainly pay premiums several times those of conventional coverage for the privilege. Not just teenagers could be caught in the assigned risk pool. Anyone with a poor driving record or whose insurance may have lapsed for a period of years may need pool coverage. Adults who have not driven in a number of years may also be classified in the assigned risk category. Residents of high-crime and therefore high insurance risk areas will also be subject to very high insurance rates. Your state insurance department can provide you with information about assigned risk insurance programs in your area. Assigned risk pools are created by the voluntary contributions of insurance providers in a particular state. Some states have created joint underwriting associations to handle the problem of higher risk motorists. In either case, auto insurance is available for any eligible driver, though premium rates will be quite high. Teenagers pose a number of risks when they first learn to drive and head out on their own. Their newly found freedom, however, comes with a steep price. Thousands of teens lose their lives each year because of traffic accidents. Tens of thousands of others end up in emergency rooms around the country suffering from injuries because of car crashes. It is up to us as parents, teachers, friends, and community members to help educate teens and guide them to the proper and safe use of a driver’s license and an automobile. Driving is a privilege, but it is also a responsibility that should be treated in a serious and adult fashion. Shop now for the best auto insurance rates now when you click here to enter your zip in our free search tool!